Is Strategy a Mind Game? Bear with me: this one’s going to get all abstract on you before it comes back to earth. "In strategy…the ultimate objective is to change human behavior." "Strategy is a particular form of social coordination across scales of space and time that can be bridged only by articulated and shared thought…"
"…segmentation [that is] driven more by the availability of data than by strategic inquiry and conscious spatial construction…is merely a deceptive simulacrum if the thought process that could influence other minds and give rise to more thought has been absent." "In strategy, the proof of the soufflé is in the making." Now, the Boston Consulting Group is one of the world’s premiere strategy consulting firms. They view their job as applying brainpower to issues of corporate (usually competitive) strategy, and they are very good at both—brainpower and strategy. But with all due props to von Ghczy and BCG—they overrate the role of the intellect. And that’s not good for strategy or business in general. The insistence that “thought must precede strategy” exactly parallels a common mistake among scientists and social scientists: the belief that in order to predict something, you must be able to explain it. Both beliefs fly in the face of common sense. Take explanation and prediction first. A lot of people believe the severity of a winter can be predicted by the length and color of a caterpillar’s “wool,” by the thickness of apple skins, and by the thickness of animal fur and corn tassels (all of which, by the way, predict a mild winter in the US this year). Suppose those measures had a 50-year track record of 95% accuracy; would you reject the predictions because you didn’t understand the biochemistry of caterpillars? How about an old man whose bunions always hurt before a rainstorm. Should he doubt his predictions because he doesn’t understand why they’re right? Mankind for millennia observed that the sun rose in the east and set in the west, and for millennia they had either no explanation, or ones that were wrong. Yet, I suspect, no one bet against the sun rising in the morning. For any given phenomenon, an infinite number of explanations can be generated. (The late Sidney Morgenbesser, philosophy professor at Columbia, said, “take a bachelor up in a plane. Push him out. How fast does he fall? 32 feet/sec/sec. There you have it—the law of falling bachelors. Now take a spinster…”) None may be right, and none are required to predict. Commonsense tells us that trees fall in the forest when we’re not there; that facts are independent of our knowledge of them; and that the brain is not a necessary requirement for doing some very smart things. Now let’s move to strategy and the intellect. McCrory Stores was a US Five and Dime store founded in 1882 that lasted for 110 years—a very long time for a retail chain. If one chose to measure success by survival (e.g. “Built to Last”), it’s a good candidate. Its strategy, I would suggest, had nothing to do with an internally thought out idea. In fact, it was driven by an instinct for local—at the neighborhood level—adaptation. As a chain, the company had almost nil brand presence, but superb survival instincts. Nobody articulated that as their strategy. The strategies they did articulate died in the face of the corporate culture—and thus the company survived. Take the Japanese auto industry. At a macro level, the fact that Japan is an island nation made it dependent on exports, and gave them a view of the market as large and global, with their share being small. This naturally led to a growth strategy—precisely the strategy for success in a global market. It came from a "mindset" but not so much from the cognitive activities of the mind. By contrast, the US industry worked from the unconscious assumption of a fixed market (about 220 million people, betwen the Atlantic and the Pacific, between Canada and Mexico, speaking English. etc. ), within which the US players had significant shares. That led them to think margins, competitive supplier relationships, and "trading up." None of which served them well, despite buying a lot of strategic thinking. The Japanese success had to do with cultural values like a passion for perfection and an export mentality; the auto companies were probably larger consumers of manufacturing consulting than of strategy consulting. Japanese corporate strategies—unlike strategy in the US and Europe, dominated by the “thought comes first” view of strategy—traditionally evolved through finely tuned social interactions, communicating very effectively at a detailed level, driven by common norms, without the requirement for abstract thought to lead the way. 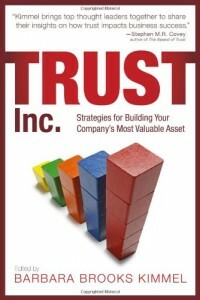 Values-driven organizations succeed without much conscious strategy; and the right values can be selected as much by instinct as by intellect. This cult of cognition is not driven by strategists alone. Brain-worship is a cultural affliction largely of the business intelligentsia of the US and Europe, manifested also in the academicization of business schools and the popularity of quantitative analytical techniques both where they’re useful (e.g. Wall Street) and not (e.g. human behavior). It’s the same bias that leads us to dehumanize human relationships in business. It is a trend that mitigates against emotional intelligence, feelings, and relationships. Oh yeah. And against trust. Toldja we’d get there. 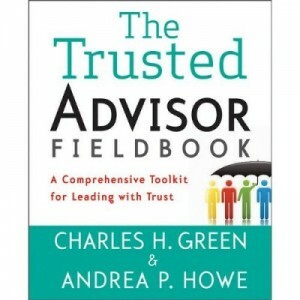 http://trustedadvisor.com/public/trusted_advisor1.png 0 0 Charles H. Green http://trustedadvisor.com/public/trusted_advisor1.png Charles H. Green2006-12-06 20:00:002006-12-06 20:00:00Is Strategy a Mind Game?